Mobileauthorize™ for the iPhone/iPad is your complete mobile processing solution for accepting credit card payments both in and out of the office. Swap meets, street fairs, antique shows, mobile detailing, on-site consultants, taxi cab drivers, tour guides.. the list is endless on who could benefit by offering the convenience of accepting credit cards on the spot and the peace of mind getting immediate authorization for the charges. Mobileauthorize offers impressive, revolutionary, yet functional credit card charging capabilities for the merchant. It combines the convenience and mobility of the iPhone/iPad/iTouch with the power to do business, make sales, and authorize/capture charges anywhere there is a network connection. Planetauthorize solutions will process keyed or swiped transactions using cutting edge hardware encrypted card readers, geo-tag locations on the receipt where the transaction occurs, e-mail receipts, capture digital signatures, and perform partial or full refunds within the transaction history log. The application is free to download and incurs no additional per transaction fees. All mobile card readers are full encrypted to protect your customer's sensitive payment data. Don't use a competitor's card reader that is not encrypted and easily hacked. Our iPhone/iPad payment application can process credit card payments in your local currency. Mobileauthorize™ supports 85 Currencies so your customers can pay in the currency they know. Mobileauthorize™ - accept all major credit cards online and on the go using Mobileauthorize for Planetauthorize payment gateway. Our Mobileauthorize™ mobile payment application integrates with the Planetauthorize payment gateway and is available in the iTunes App Store. 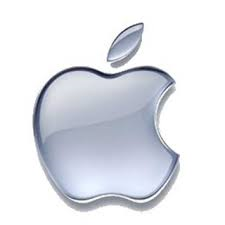 Download iProcess for Apple devices . Merchants can also download our free mobile application from the Planetauthorize payment gateway navigation menu.. Accept Credit Card Payments. Online account management included. Encrypted card reader available. Includes Capital Bankcard Merchant Account. Service is available to merchants globally, multi-currency support. Price: $12.95 per month. Accept Credit Card Payments. Online account management included. No Payment Gateway Required. Requires Capital Bankcard Merchant Account from our office. Encrypted card reader available. Price: $7.95 per month. Supported Hardware: MagTek iDynamo. Merchant must use the Planetauthorize iPhone application in order to use with the MagTek iDynamo hardware. The MagTek iDynamo card swipe hardware must be ordered through Planetauthorize. * If cable is required there is an additional fee. Supported Devices: iPhone 3G, iPhone 3GS, iPod Touch,	iPhone 4 (w/ Cable), iPad (w/ Cable). To get started with the Planetauthorize Payment Gateway service and our free iPhone/iPad application Contact Us or	call SaleManager, toll free, at 1-800-918-4890. For more information visit mobileauthorize.com.